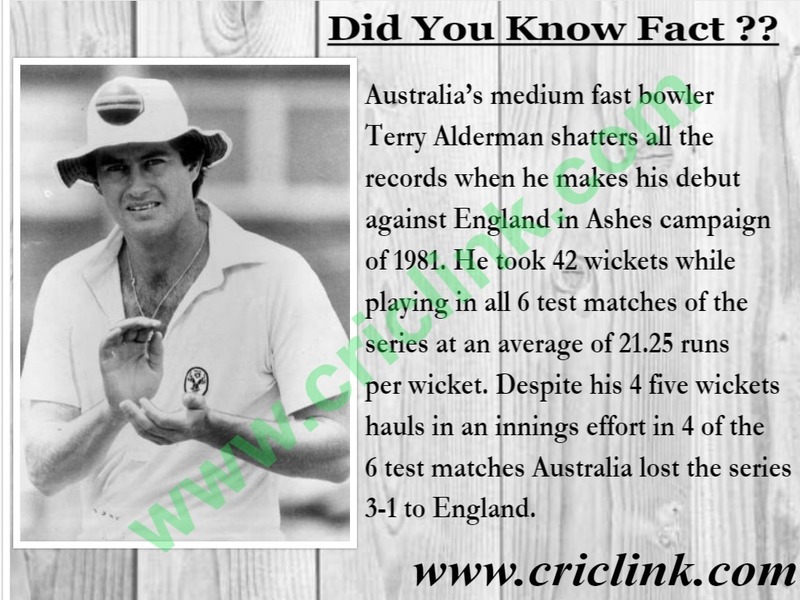 Australia’s medium fast bowler Terry Alderman shatters all the records when he makes his debut against England in Ashes campaign of 1981. He took 42 wickets while playing in all 6 test matches of the series at an average of 21.25 runs per wicket. Despite his 4 five wickets hauls in an innings effort in 4 of the 6 test matches Australia lost the series 3-1 to England. Alderman went on to play 41 test matches during his 10 year career which was marked with suspensions due to rebel tour of South Africa at that time. He took 170 test wickets for Australia and save his very best for England once again. In 1989 Ashes tour he took 41 wickets in 6 test matches with an average of 17 runs per wicket with the help of 6 5 wicket hauls in an innings and one he took 10 wickets in a match. Previous Article Did You Know: Which player scored most runs in debut series ? Next Article Why Mickey Arthur dropped Wahab Riaz ?